Earthmate Geosynthetic has been established to provide dedicatedly the world class technical solutions in the geosynthetics applications from 2004. Earthmate Geosynthetic owns rich experiences and technical know-how in production of engineering textiles. Now we are producing a complete range of woven geotextiles, composited drainage geomats, geocomposites , geogrid and asphalt reinforcement composited grids based on High Modulus & High Strength Polymers. 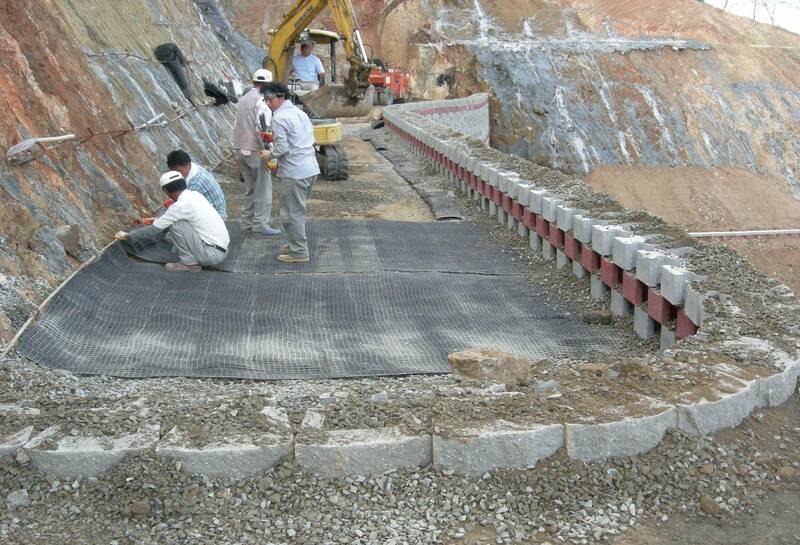 These geosynthetics are used widely in Reinforcement, Filtration, Drainage, Separation, Sealing, Protection and Erosion Control. 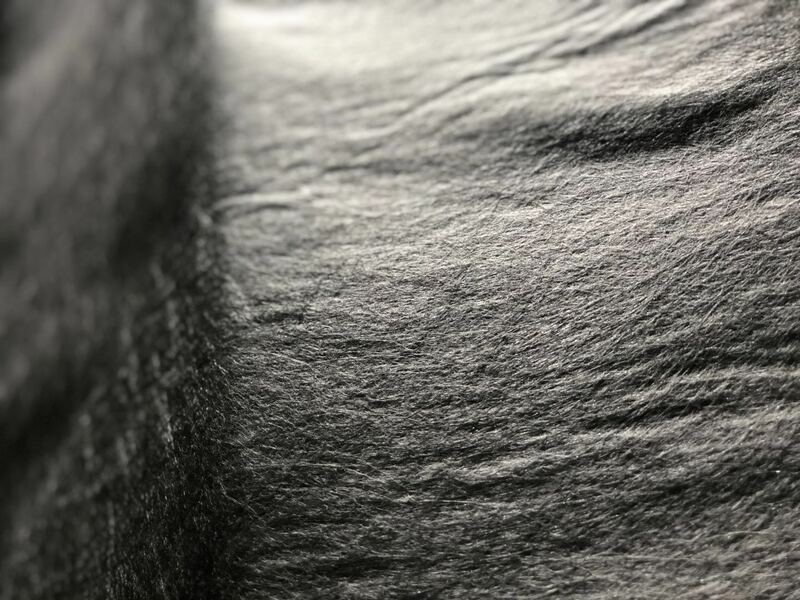 Earthmate WALLSTRAIN™ PP Stable Continuous Filament Composited Geotextiles are produced with high molecular weight, high tenacity, polyester yarns which are knitted on PP Stable Continuous Filament Nonwoven Geotextile. 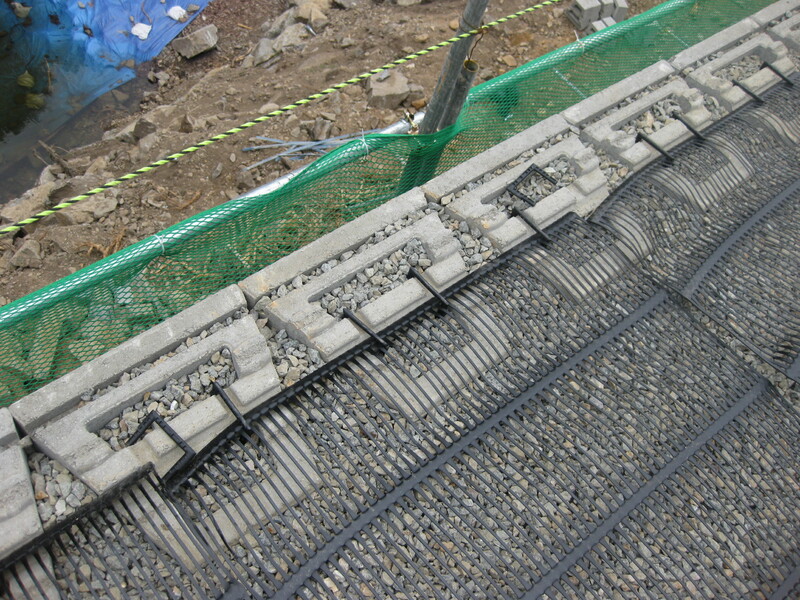 These composited geotextiles are dimensionally stable and through a uniform network of ribs and apertures provide tensile reinforcement to the surrounding soil to provide the long-term design strength (LTDS) required for each specific application. They are also chemically stable and appropriate for using in aggressive soil environments which pH levels from 3.0 to 9.0. Their primary characteristic is excellent creep performance with low strain and high tensile strength under constant load. 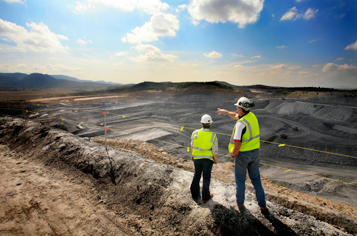 Earthmate™ MINETRAC™ HIGH TENSILE MINING GRIDS MGPES are woven from the highest quality and modulus polyester filaments, coated with a flame-retardant additive. The mining grids MGPES offer an expedient and reliable solution to underground mining and tunnel applications which require longwall recovery, highwall, roof and rib support. The mining grids MGPES conform to Fire Retardant Anti-Static (FRAS) requirements and fulfill all of the requirements of a supporting element in underground mining. Earthmate WALLSTRAIN™ HDPE Textured Perforated TerraWeb™ is a light weight,flexible three-dimensional and expandable panels which are made from High Density Polyethylene (HDPE) strips.The High Density Polyethylene (HDPE) strips are ultrasonically bonded together to form an extremely strong configuration. It can be used for preventing horizontal movement of the filling materials and enhancing the material’s shear strength as well as bearing capacity significantly.The three-dimensional webs provide considerable weight distribution to support heavy stress without displacement. The Perforated webs also allow for vertical and lateral water drainage for effective drainage and groundwater recharge while avoiding erosion and surface runoff. Vegetation could grow through the TerraWeb™ structure rather than other environmentally-harmful possibilities such as pavement or cantilever wall. Earthmate WALLSTRAIN™ Polyester Uni-axial Geogrids are produced with high molecular weight, high tenacity, polyester yarns using a precision knitting process. These geogrids are dimensionally stable and through a uniform network of ribs and apertures provide tensile reinforcement to the surrounding soil to provide the long-term design strength (LTDS) required for each specific application. Earthmate WALLSTRAIN™ Polyester Uni-axial Geogrids are woven and then coated with a polymer or PVC coating to provide dimensional stability and offer resistance to installation damage. They are also chemically stable and appropriate for using in aggressive soil environments which pH levels from 3.0 to 12.0. Their primary characteristic is excellent creep performance with low strain and high tensile strength under constant load. Earthmate WALLSTRAIN™ HDPE Uni-axial Geogrids are produced from high density polyethylene (HDPE) resins. The HDPE Uni-axial Geogrids are resistant to installation damage and long-term chemical or biological degradation in both dry and wet environments. It can load high tensile strains applied in one direction and its open aperture structure interlocks with fill material to transfer the loading strains from soil to geogrid. Their primary characteristic is excellent creep performance with low strain and high tensile strength under constant load. Earthmate Vigortex™ Geocomposites NPW is made of highly tensile PP Silt Tapes High Flow Filament woven geotextiles and mechanically-bonded on the Polyester Stable Continuous Filament Non-woven Geotextiles. 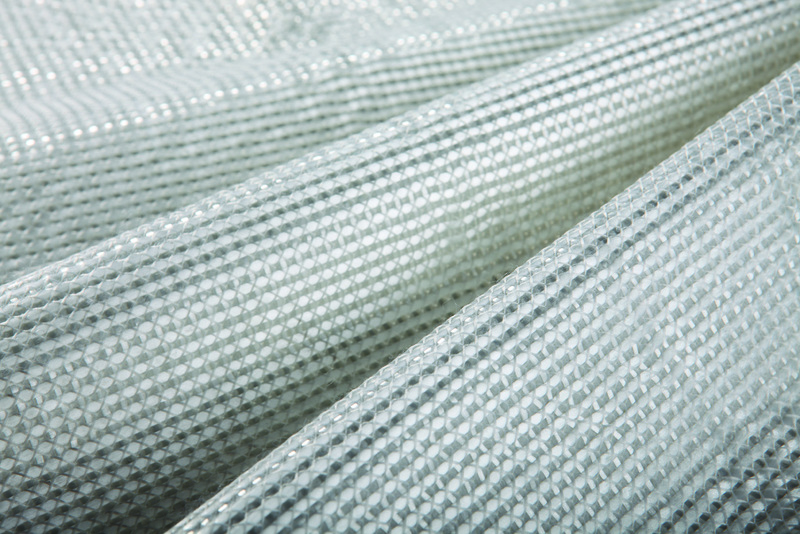 It compounds the reinforcement function of the woven geotextile with the separation, filtration, drainage and sealing function of the Non-woven geotextile. It could enhance the load-bearing capacity and maintains the effectiveness of frost blankets. Also, it has a good force-expansion ratio and is resistant to all microorganisms and chemicals which are found in soil naturally. 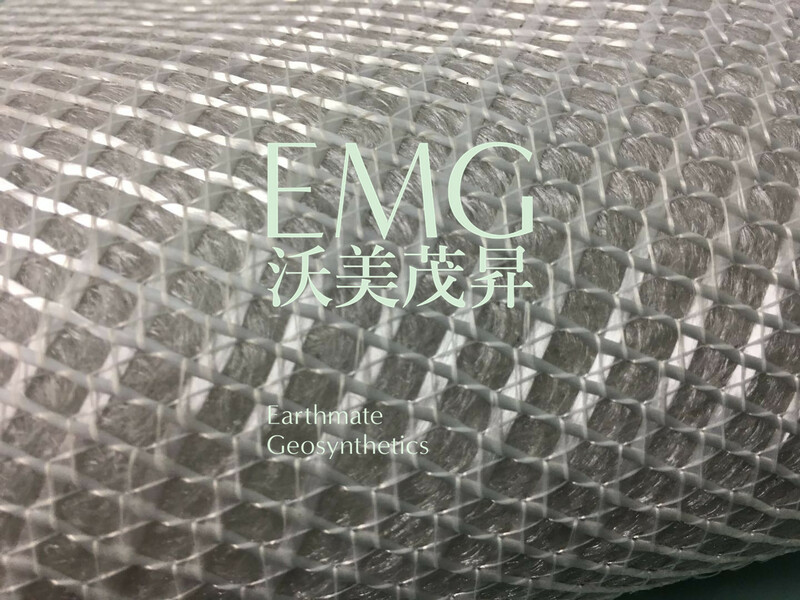 Earthmate Vigortex™ Geocomposites PES are high strength composited engineering materials for basal reinforcement and subgrade stabilization etc., The high modulus polyester filaments are knitted on the needle punched PP Polyester Nonwoven Geotextile backing. 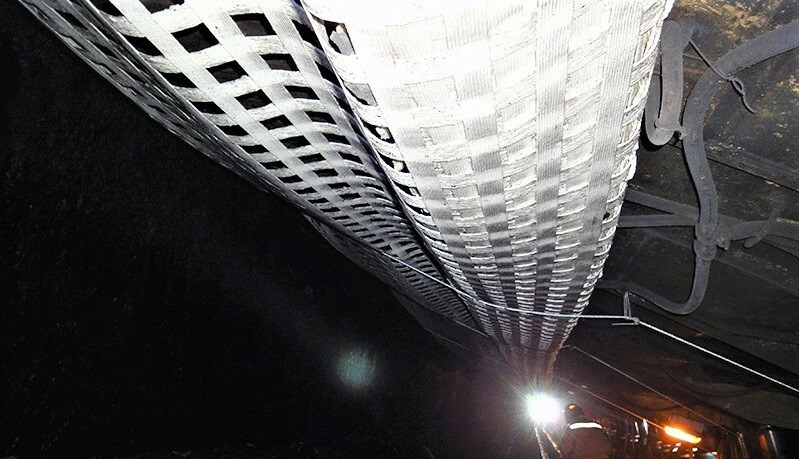 The needle punched PP Polyester Nonwoven Geotextile backing will provide the Drainage and Protection function in the plane to avoid the installation damage to the polyester reinforcing filaments. As its compound nature of geotextiles, Earthmate Vigortex™ Geocomposites PES are proper for the reinforcement of both Poor Drainage and Granular Soil. Its excellent in-plane drainage function promotes an increase in shear strength and significantly reduce pore water pressure to increase structural stability. Earthmate VIGORTEX™ Nonwoven Geotextiles are made of high quality polyester continuous stable filament fibers that are needle-punched to form a dimensionally stable fiber network for high filtration, stabilization, subsurface drainage, separation and cushioning. Earthmate VIGORTEX™ Nonwoven Geotextiles are available in varying strengths and thicknesses to ensure appropriate material selection for your project. Custom roll sizes are also available. Earthmate™ POLYDRAIN™ HDPE DRAINAGE GEONET is made from extrusion of HDPE resin with Bi-planar or Tri-planar (3D) of overlaid intersecting strands. The heavier and thicker strands provide high compressive resistance and transmissivity. A high level of resistance to UV light is given to Earthmate™ POLYDRAIN™ HDPE Drainage Geonet by the incorporation of ≥ 2% of weathering grade carbon black, well dispersed in the polymer matrix. They are also chemically stable and appropriate for using in aggressive soil environments. Earthmate™ POLYDRAIN™ HDPE Drainage Geonet is used widely in waste disposal and civil engineering projetcs for high hydraulic flow capacity is requested.